2016 Mercedes-Benz C-Class C 300 4MATIC® MERCEDES BENZ CERTIFIED, REMAINDER OF FACTORY WARRANTY, INCLUDES WARRANTY, SERVICE RECORD AVAILABLE, GOOD TIRES, GOOD BRAKES, FACTORY MAINTENANCE UP TO DATE, RECENT TRADE IN, NAVIGATION GPS NAV, SUNROOF MOONROOF, REAR BACK UP CAMERA, HEATED LEATHER SEATS, BLUETOOTH HANDS FREE, PASSED DEALERSHIP INSPECTION, RECENT OIL CHANGE, FULLY DETAILED, SIRIUS XM, Navigation System. Clean CARFAX. Certified. Mercedes-Benz Certified Pre-Owned Details: * 165 Point Inspection * Warranty Deductible: $0 * Includes Trip Interruption Reimbursement and 7 days/500 miles Exchange Privilege * Vehicle History * Limited Warranty: 12 Month/Unlimited Mile beginning after new car warranty expires or from certified purchase date * Roadside Assistance * Transferable Warranty 24/31 City/Highway MPG Air Conditioning, Climate Control, Dual Zone Climate Control, Cruise Control, Power Steering, Power Windows, Power Door Locks, Power Mirrors, Leather Steering Wheel, Power Drivers Seat, Power Passenger Seat, Memory Seat Position, Clock, Tachometer, Digital Info Center, Homelink System, Telescoping Steering Wheel, Steering Wheel Radio Controls, Moonroof, Driver Airbag, Passenger Airbag, Side Airbags, Keyless Entry, Security System, ABS Brakes, Dynamic Stability, Rear Defogger, Intermittent Wipers, AM/FM, CD Player, Anti-Theft, 4-Wheel Disc Brakes, Adjustable Steering Wheel, Auto-Off Headlights, Back-Up Camera, Blind Spot Monitor, Brake Assist, Bucket Seats, Child Safety Locks, Daytime Running Lights, Driver Air Bag, Driver Illuminated Vanity Mirror, Driver Lumbar, Driver Vanity Mirror, Electrochromic rearview mirror, Front Floor Mats, Full-Time 4MATIC® All-Wheel Drive, Heated Driver Seat, Heated Mirrors, Integrated Turn Signal Mirrors, iPod/MP3 Input, Leather Wrapped Steering Wheel, Mirror Memory, MP3 Player, Navigation, Onboard Communications System, Pass-Through Rear Seat, Passenger Illuminated Visor Mirror, Passenger Lumbar, Passenger Vanity Mirror, Power Driver Mirror, Power Driver Seat, Rain Sensing Wipers, Rear Head Air Bag, Rear Spoiler, Satellite Radio, Side Head Air Bag, Smart Device Integration, Tire Pressure Monitoring System, Tires - Front Performance, Tires - Rear Performance, Turbocharged, Universal Garage Door Opener Aux. Audio Input, Bluetooth®, Carpeted Floor Mats, Center Arm Rest, Child Proof Door Locks, Daytime Running Lights, Heated Mirrors, Navigation System, Overhead Console, Premium Sound, Rear Fog Lamps, Rear Spoiler, Rear Spoiler, Roll Stability Control, Side Curtain Airbags, Sport Seats, Tire Pressure Monitor, Vanity Mirrors -2016 Mercedes-Benz C-Class C 300 4MATIC® MERCEDES BENZ CERTIFIED, REMAINDER OF FACTORY WARRANTY, INCLUDES WARRANTY, SERVICE RECORD AVAILABLE, GOOD TIRES, GOOD BRAKES, FACTORY MAINTENANCE UP TO DATE, RECENT TRADE IN, NAVIGATION GPS NAV, SUNROOF MOONROOF, REAR BACK UP CAMERA, HEATED LEATHER SEATS, BLUETOOTH HANDS FREE, PASSED DEALERSHIP INSPECTION, RECENT OIL CHANGE, FULLY DETAILED, SIRIUS XM, Navigation System. 2018 Mercedes-Benz E-Class E 400 4MATIC® MERCEDES BENZ CERTIFIED, REMAINDER OF FACTORY WARRANTY, BURMESTER SURROUND SOUND, 19 AMG®r Twin 5-Spoke Wheels, Adaptive Highbeam Assist, Blind Spot Assist, Corner-Illuminating Lamps, Electronic Trunk Closer, Full LED Headlamps, HANDS-FREE ACCESS, Inductive Wireless Charging with NFC Pairing, KEYLESS GOr, Parking Pilot with Advanced Parking Assist, Power Rear-Window Shade, Premium 2 Package, SiriusXM Satellite Radio. Priced below KBB Fair Purchase Price! CARFAX One-Owner. Clean CARFAX. Certified. Mercedes-Benz Certified Pre-Owned Details: * Limited Warranty: 12 Month/Unlimited Mile beginning after new car warranty expires or from certified purchase date * Roadside Assistance * Transferable Warranty * Warranty Deductible: $0 * Includes Trip Interruption Reimbursement and 7 days/500 miles Exchange Privilege * Vehicle History * 165 Point Inspection 20/26 City/Highway MPG Air Conditioning, Climate Control, Dual Zone Climate Control, Cruise Control, Power Steering, Power Windows, Power Mirrors, Leather Steering Wheel, Leather Shifter, Power Drivers Seat, Power Passenger Seat, Memory Seat Position, Clock, Tachometer, Digital Info Center, Homelink System, Tilt Steering Wheel, Telescoping Steering Wheel, Steering Wheel Radio Controls, Sunroof, Moonroof, Driver Airbag, Passenger Airbag, Side Airbags, Keyless Entry, Security System, ABS Brakes, Traction Control, Dynamic Stability, Rear Defogger, Intermittent Wipers, AM/FM, Anti-Theft, MB TEX Interior Surface, Leather Upholstery, Radio: COMAND® Navigation, 4-Wheel Disc Brakes, Front Bucket Seats, Front Center Armrest, Navigation System, Anti-whiplash front head restraints, Auto-dimming door mirrors, Automatic temperature control, Brake assist, Bumpers: body-color, DVD-Audio, Delay-off headlights, Driver door bin, Driver vanity mirror, Dual front impact airbags, Dual front side impact airbags, Four wheel independent suspension, Front anti-roll bar, Front reading lights, Fully automatic headlights, Genuine wood dashboard insert, Genuine wood door panel insert, Head restraints memory, Heated door mirrors, Heated front seats, Illuminated entry, Knee airbag, Low tire pressure warning, Occupant sensing airbag, Outside temperature display, Overhead airbag, Overhead console, Passenger door bin, Passenger vanity mirror, Power adjustable front head restraints, Power door mirrors, Power driver seat, Radio data system, Rain sensing wipers, Rear anti-roll bar, Split folding rear seat, Steering wheel memory, Telescoping steering wheel, Turn signal indicator mirrors, Weather band radio, Front beverage holders, Auto-dimming Rear-View mirror, 8 Speakers, Premium audio system: COMAND®, Exterior Parking Camera Rear, Emergency communication system: mbrace®2 Aux. 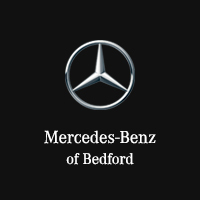 Audio Input, Bluetooth®, Carpeted Floor Mats, Center Arm Rest, Daytime Running Lights, Front Heated Seats, Heated Mirrors, Navigation System, Overhead Console, Reverse Camera, Roll Stability Control, Side Curtain Airbags, Tire Pressure Monitor, Vanity Mirrors -2018 Mercedes-Benz E-Class E 400 4MATIC® MERCEDES BENZ CERTIFIED, REMAINDER OF FACTORY WARRANTY, BURMESTER SURROUND SOUND, 19 AMG®r Twin 5-Spoke Wheels, Adaptive Highbeam Assist, Blind Spot Assist, Corner-Illuminating Lamps, Electronic Trunk Closer, Full LED Headlamps, HANDS-FREE ACCESS, Inductive Wireless Charging with NFC Pairing, KEYLESS GOr, Parking Pilot with Advanced Parking Assist, Power Rear-Window Shade, Premium 2 Package, SiriusXM Satellite Radio. BUY WITH CONFIDENCE! CARFAX Buyback Guarantee qualified! WARRANTY A Full-Factory Warranty is included with this vehicle. Contact seller for more information. LOADED WITH VALUE! Comes equipped with: Ambient Lighting (3 Colors), Black Fabric Headliner, Black Mb-Tex, Mb-Tex Upholstery, Blind Spot Assist, Burmester Surround Sound System, Heated Front Seats, Heated Steering Wheel, Illuminated Door Sills, Illuminated Star, Multimedia Package, Natural Grain Black Ash Wood Trim, Natural Grain Black Ash Wood/Aluminum Door Trim, Panorama Sunroof, Premium Package, Rear Chrome Trim, Rear Seat Entertainment & Comfort Adapter, Saddle Brown/Black, Leather Upholstery, Selenite Grey Metallic, Tires: P235/55r19 All-Season Run-Flat, Wheels: 19 5-Spoke. This Mercedes-Benz GLC also includes Air Conditioning, Clock, Climate Control, Tachometer, Dual Zone Climate Control, Cruise Control, Homelink System, Privacy Glass/Tinted Windows, Power Steering, Telescoping Steering Wheel, Steering Radio Controls, Power Mirrors, Lthr. Steering Wheel, Driver Airbag, Passenger Airbag, Intermittent Wipers, Side Airbags, Rear Defogger, Security System, AM/FM, Anti-Theft, CD Player, Bluetooth®, Rear Wipers, Center Arm Rest, Cup Holders, Remote Trunk Lid, Vanity Mirrors, Center Console, Heated Mirrors, Rear Fog Lamps, Child Proof Door Locks, Daytime Running Lights, Reverse Camera, Side Curtain Airbags, Roll Stability Control, Power Lift Gate, Tire Pressure Monitor, Carpeted Floor Mats, Overhead Console, Aux. Audio Input, Front Heated Seats, HD Radio. Air Conditioning, Climate Control, Dual Zone Climate Control, Cruise Control, Tinted Windows, Power Steering, Power Mirrors, Leather Steering Wheel, Clock, Tachometer, Homelink System, Telescoping Steering Wheel, Steering Wheel Radio Controls, Driver Airbag, Passenger Airbag, Side Airbags, Security System, Rear Defogger, Intermittent Wipers, AM/FM, CD Player, Anti-Theft, MB TEX Interior Surface, Aux. Audio Input, Bluetooth®, Carpeted Floor Mats, Center Arm Rest, Center Console, Child Proof Door Locks, Cup Holders, Daytime Running Lights, Front Heated Seats, Heated Mirrors, Overhead Console, Power Lift Gate, Rear Fog Lamps, Rear Wipers, Remote Trunk Lid, Reverse Camera, Roll Stability Control, Side Curtain Airbags, Tire Pressure Monitor, Vanity Mirrors -BUY WITH CONFIDENCE! Comes equipped with: Ambient Lighting (3 Colors), Black Fabric Headliner, Black Mb-Tex, Mb-Tex Upholstery, Blind Spot Assist, Burmester Surround Sound System, Heated Front Seats, Heated Steering Wheel, Illuminated Door Sills, Illuminated Star, Multimedia Package, Natural Grain Black Ash Wood Trim, Natural Grain Black Ash Wood/Aluminum Door Trim, Panorama Sunroof, Premium Package, Rear Chrome Trim, Rear Seat Entertainment & Comfort Adapter, Saddle Brown/Black, Leather Upholstery, Selenite Grey Metallic, Tires: P235/55r19 All-Season Run-Flat, Wheels: 19 5-Spoke.